This kid has talent. 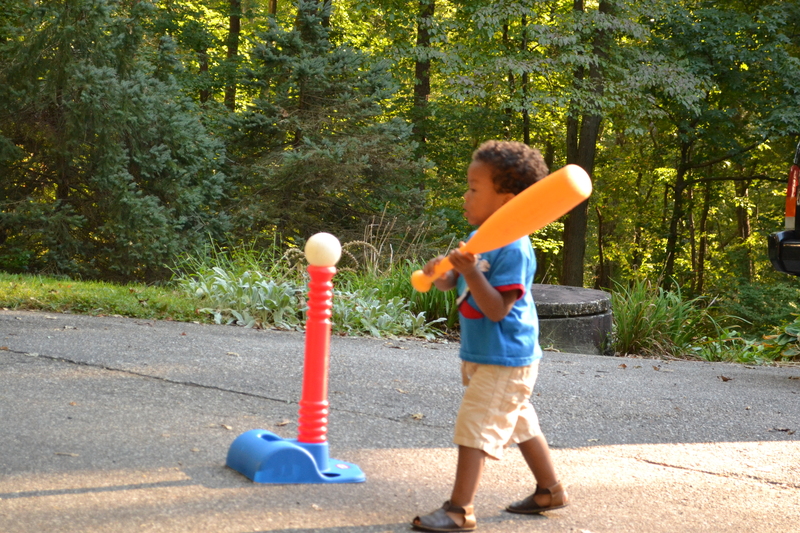 He can really hit the ball, whacking it over the car, down the driveway, or directly at Mommy or Daddy, haha. It cracks me up sometimes, because he knows how to direct his hits. 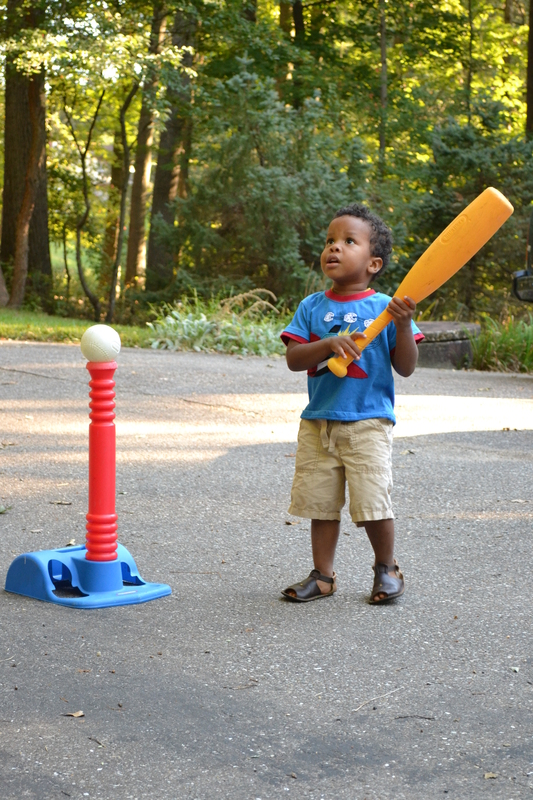 He’ll line himself up and tell Daddy, “Hittin’ the ball at Mommy!”. Let’s pretend he means to Mommy :). 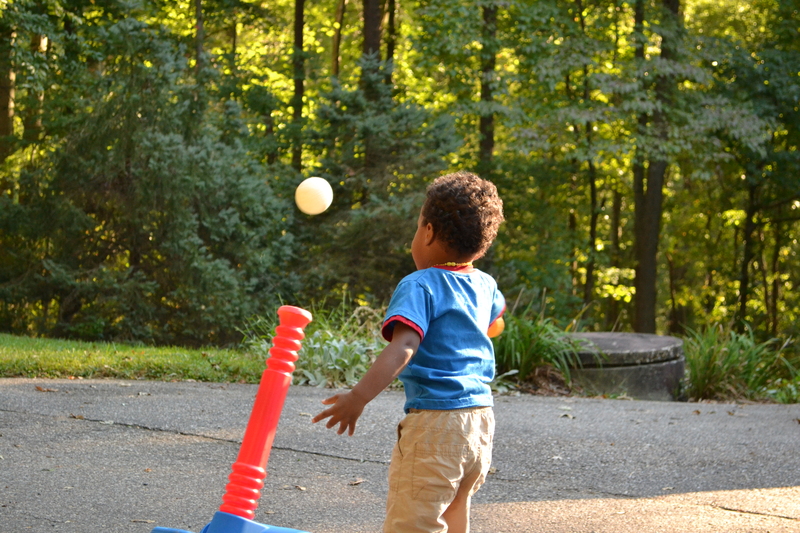 Every day we spend at least an hour or so playing baseball, and it’s usually the first thing he thinks of when he wakes up in the morning. 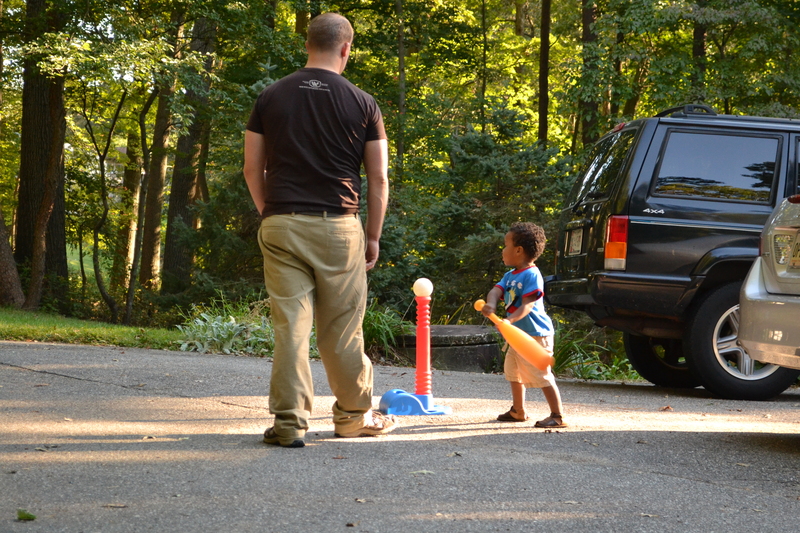 Luckily, we have a “no baseball until the sun is awake” rule! 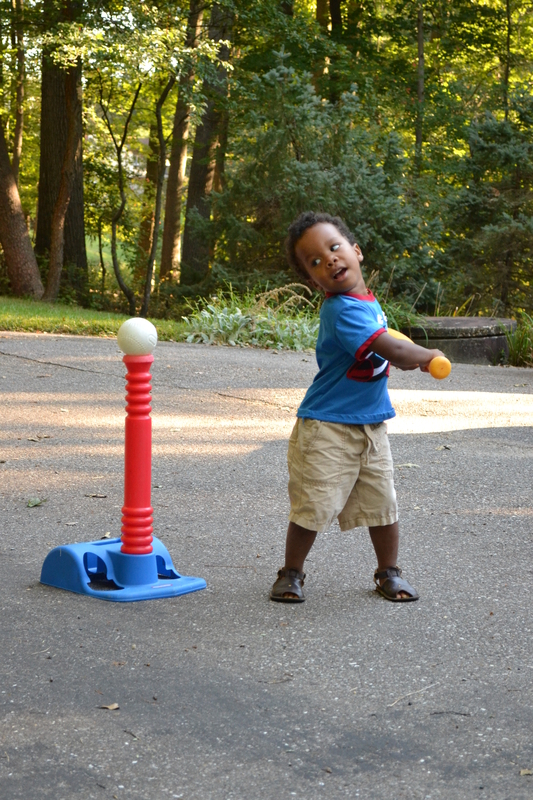 This is the photo I’m saving for when he gets drafted by an MLB team ;). 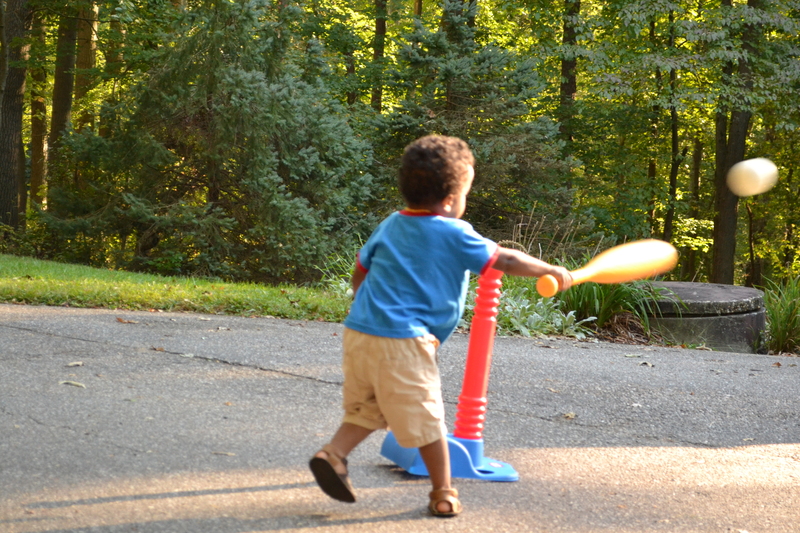 About 3 seconds after I snapped that pic, he hauled off and hit me with the bat, haha. I should have seen it coming in the look on his face! 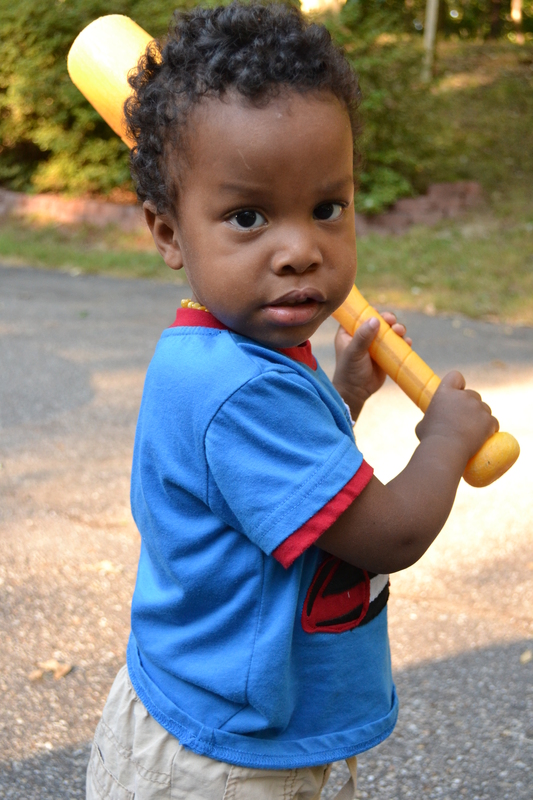 September 10, 2013 in baseball, Isaac.